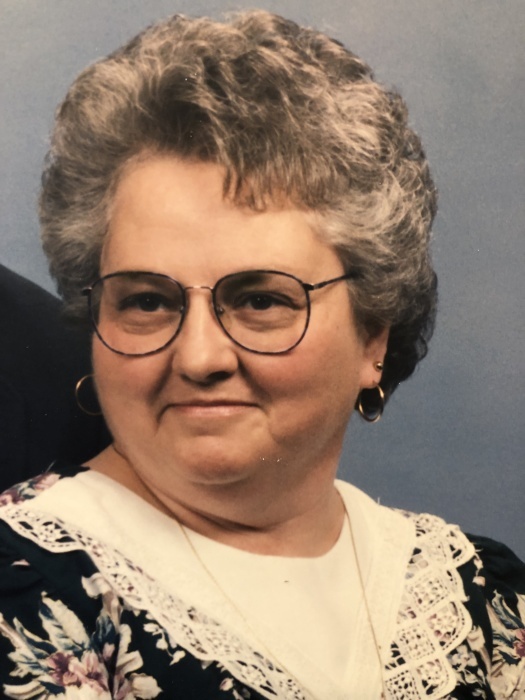 Mary Marlene Redmon Hawkins, age 72, of Lawrenceburg, widow of J.B. Hawkins, died Sunday, August 26, 2018 at her sons residence in Shelbyville. Mrs. Hawkins was born in Versailles, Kentucky to the late Calvin Curtis and Truman Coyle Redmon. She graduated from Woodford County High School; was a member of Troy Presbyterian Church; and was a former assembly line worker for Texas Instruments. Marlene is survived by a son, Shannon (Stephenie) Osten, Shelbyville; step-son, Todd Hawkins, Salvisa; sister, Fay (Jack) Lee, Versailles; two brothers, Sandy (Olena) Redmon, Versailles and Randy (Nancy) Redmon, Louisville; two granddaughters, Erin and Emily Osten, of Shelbyville. Funeral services will be 11:00 a.m. on Wednesday, August 29, 2018 at Gash Memorial Chapel with Bro. Jesse Huggins and Bro. Will Cooper officiating. Burial will follow in Sand Spring Cemetery. Visitation will be from 4-7 p.m. on Tuesday. Casketbearers will be Brent Hawkins, Wayne Hawkins, Darren Hawkins, Loui Mucci, Leo Mucci, Buddy Sims, Will Gamin, and David Sims. Honorary bearers will be Doris Ward, Pauline Riley, Betty Houp, Imogene Matthews, and Shirley Montgomery. Memorial contributions are suggested to the National Kidney Foundation, 30 East 33rd St., New York, New York 10016.